It’s not every day you run into a couple like Mistie and Tyler. 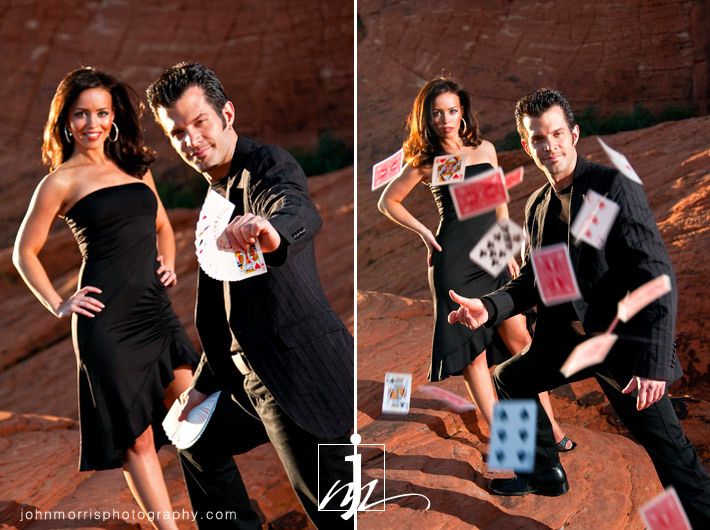 They are the local talents behind Knight Magic, an illusion show here in Las Vegas that also travels to many other parts of the world including England, Spain, and Costa Rica, to name a few places. Mistie is also a former Miss Nevada and Miss Las Vegas. When I met them for the first time last year, I noticed that there was a strong connection between them. 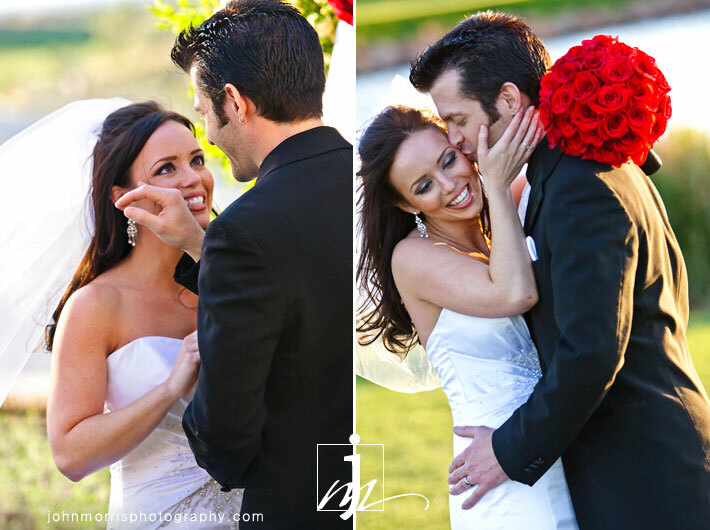 I shoot a lot of weddings and these two really seem to have something special. They first met on a cruise and fell in love, and two years ago got engaged. They are quite an interesting pair – stunning, fun, and very down to earth. As the best man said, for stage performers, they are completely unpretentious, not high maintenance at all. Who would have guessed? And as you might imagine, they’re naturals in front of the camera. 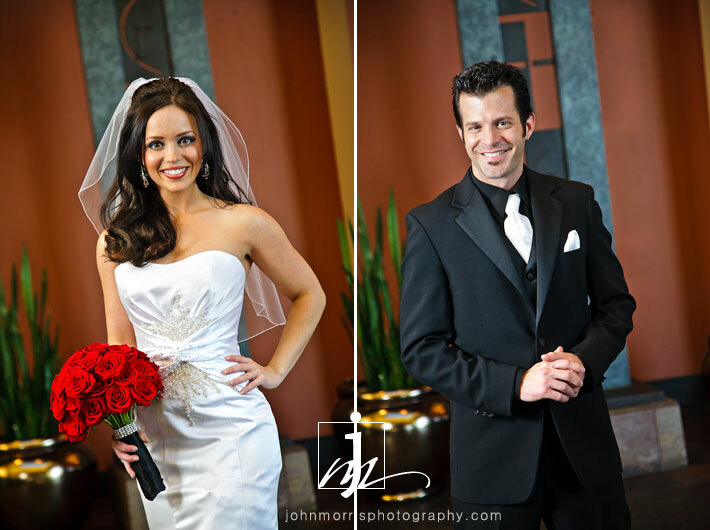 A lot of times grooms (and sometimes brides) can get tense posing for photos because they’re not used to being in front of the camera. It’s my job to get them to relax and look great in their photos. Obviously this wasn’t the case with Tyler and Mistie who were game for just about anything. (See their awesome engagement photos below). As a photographer I had a great time capturing both the fun, posed images and the natural, unposed candids that they probably don’t get to see of themselves very often. 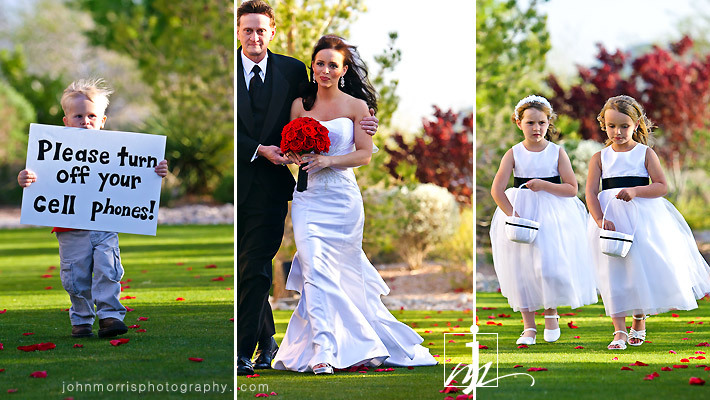 Their wedding took place at the Las Vegas Paiute Golf Club Resort, a beautiful venue with mountain views and a lake as the backdrop. Although the setting was perfect, not everything seemed like it would go off perfectly. Spring is mostly a good time of year in Vegas, but April weather can be a bit temperamental. About an hour before the outdoor ceremony began, the winds picked up to about 35 mph (read: very windy in an open space). If it had gotten any worse, the wedding might have been relocated indoors. Fortunately, just as the ceremony was about to start, the weather suddenly calmed down and everything went off without a hitch. Below is an image from Mistie and Tyler’s engagement session a few months ago. They wanted something unique that would show off their personality and style, so we went for a shot of “the cards” which turned out amazing. It was also a hit with their friends and fans. After all, who doesn’t love a little card magic?